The Conference Dinner is taking place at NEUWIRT restaurant < <http://gasthof-neuwirt.org/> on Thursday, 23rd March at 7:00 pm. The restaurant is in walking distance to the hotels located in Garching. FRM II - Guided Tour : The guided tours are scheduled on Tuesday and on Friday afternoon at 4 respectively 1 pm. Basically, they are limited to those who had registered for; however, if due to cancellations, there are free places, we are happy to offer them to workshop attendants, who still would like to join the tour. a valid passport for Non-Schengen/Non-European citizens. Please kindly take note of the safety instructions https://indico.cern.ch/event/557956/images/12998-Strahlenschutzanweisungen_Englisch.jpg ahead of the conference. 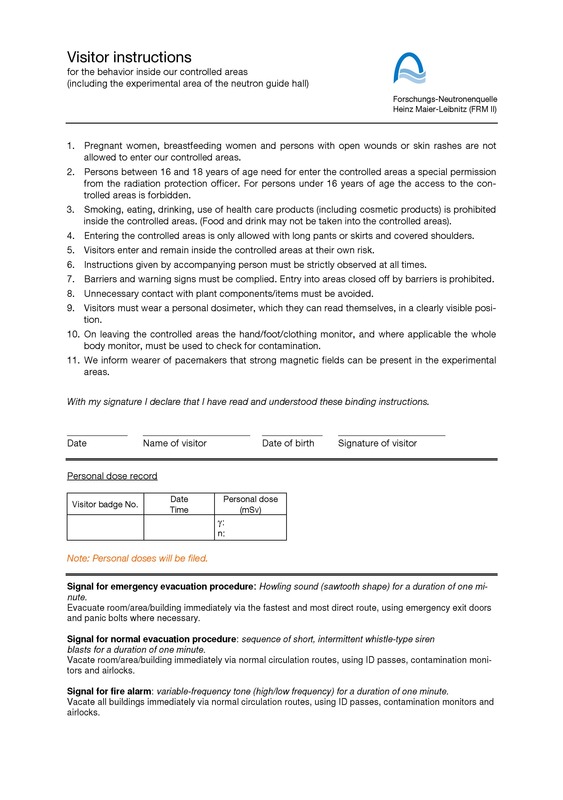 You may sign the form on site. In order to get to your hotel, you may choose the regional S8 via Ismaning and subsequent transport by bus OR the regional S1 and subsequent transport by bus and underground via Neufahrn. Please see examples below. It's a journey of about 40 to 60 minutes.